Tales of Troy and its heroes--Achilles and Hector, Paris and the legendary beauty Helen--have fired the human imagination for 3,000 years. With In Search of the Trojan War, Michael Wood brings vividly to life the legend and lore of the Heroic Age in an archaeological adventure that sifts through the myths and speculation to provide a fresh view of the riches and the reality of ancient Troy.This gripping story shows why the legend of Troy forms the bedrock of Western culture and why its past is a paradigm of human history. Wood's meticulous scholarly sleuthing yields fascinating evidence about the continuity and development of human civilization in the Aegean and Asia Minor. 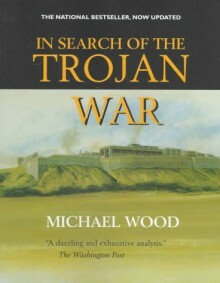 With its 50 feet of debris resulting from constant rebuilding, human destruction, earthquake, and abandonment, the mound of Troy contains the beginnings and ends of new races and civilizations.This edition includes a new preface, a new final chapter, and an addendum to the bibliography that take account of dramatic new developments in the search for Troy with the rediscovery, in Moscow, of the so-called Jewels of Helen and the re-excavation of the site of Troy, which began in 1988 and is yielding new evidence about the historical city.